ICS New Releases for April 2007 Arnies Exclusive! « Noveske Rifle Works LLC To Take Legal Action! Arnies Airsoft has scooped another breaking story! Our inside source at ICS who will remain anonymous has informed us that ICS will be releasing two new items to the Airsoft community. These will be available early April. 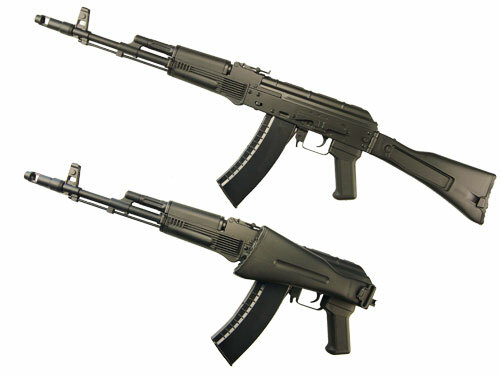 Yes, the AKS-74U will use real wood but will not have a solid folding stock, while we will add a folding stock version to our AKM range. Right now though the only exact information we have is that the AKM folding stock version and that the AKS-74U will be released but final details are unsure, although it will have real wood furniture as standard!